What makes cruising the best value? There’s so much more included in your holiday at sea. The only question is … do you get the best value by booking early or leaving it until the last minute? So you’re trying to choose a holiday and you’re weighing up the benefits of another cruise – or switching to a stay in a resort ashore. Hopefully, this won’t be a purely financial decision, as there are many other factors at play. True, big cruise ships are often referred to as floating resorts, but that’s where the similarity ends. Cost will come into it, of course. Generally speaking, an all-inclusive resort is going to include more than a standard cruise. All drinks, all food, maybe a programme of spa treatments and all watersports, for starters. Some Caribbean resorts even throw in expensive items like scuba diving and golf. Unless you pick an all-inclusive cruise (more of which later) you’re inevitably going to end up with something on your onboard account at the end of the holiday, as all that’s normally included is meals, accommodation, and entertainment. So tips, alcoholic drinks, some gym classes, cover charges in the more exclusive restaurants and shore excursions all pile up as the cruise progresses. But wait. 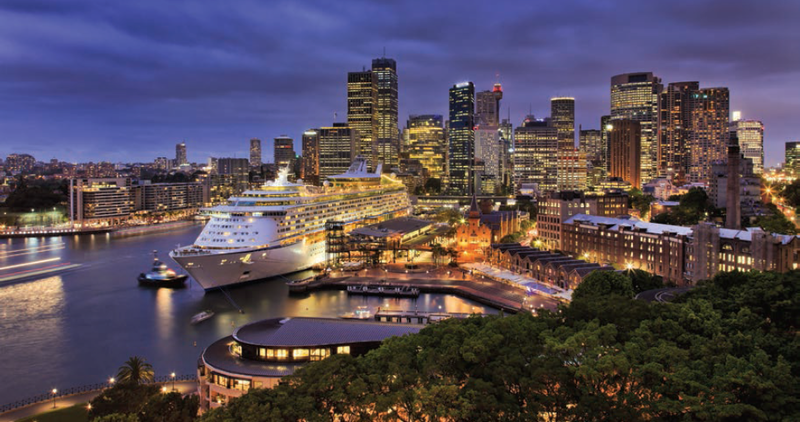 Cruise lines offer exceptional value in areas where land-based resorts simply can’t compete. On some ships, world-class entertainment and a lecture programme by big-hitting guest speakers, for example. See a Broadway show for free on Royal Caribbean, or split your sides laughing at live stand-up every night on Carnival. Ashore, at best, even in the smartest hotel, you’d get a crooner, a local band or a folklore show. Cruising is exceptional value for families, too. Lines like Royal Caribbean, Norwegian, Princess, P&O Cruises, Carnival and Celebrity have outstanding facilities for kids of all ages, and it’s all included. You would be hard-pushed to find comparable facilities ashore – from science labs to craft classes to cookery lessons, evening pool parties and on some cruise lines, like Disney, cartoon characters wandering around. Evening babysitting is free on some lines, too, which it wouldn’t be in a hotel. And even though ships are limited on space, they pack in the activities. Royal Caribbean offers ice rinks on some of its ships, while other lines like Carnival and NCL have high ropes courses, circus schools or climbing walls, all free to use. Families often get good deals, too. Sail with MSC Cruises and children travel either free or for massive discounts when sharing a cabin with parents, even in one of the stunning Yacht Club suites. Don’t lose sight of the fact, in your calculations, that a cruise ship is a form of transport as well as your floating holiday home. Imagine what it would cost to get from, say, Barcelona to Marseille, Monaco, Portofino, Corsica and Mallorca in a week and the true value of cruising becomes clearer. Not to mention the fact that you can cruise from your own doorstep. Take a voyage that departs from Southampton or any number of other UK ports and your holiday comes with no airfare. The fashion in cruising now is to go all-inclusive, but this is interpreted by the cruise lines in many different ways and some are more inclusive than others. On Regent Seven Seas Cruises, for example, it really is all thrown in: flights, transfers, tips, meals, drinks, and excursions. Wi-fi costs extra unless you’re in a certain cabin grade and so do spa treatments, but that’s a minor consideration. Silversea offers an all-inclusive product but you have to pay for excursions on most cruises. Crystal Cruises includes drinks and dining in its very fine alternative restaurants – but not gratuities. On any cruise, and many charge more, if you allow, say, around £8 per person per day for tips, you’re looking at £448 for a family of four on a two-week cruise, which is a hefty whack and probably more than you’d tip in a hotel. Lower-priced lines offer the option to upgrade to ‘all inclusive’ but the reality is that this is usually just included drinks, with deals available on lines like Fred. Olsen, Thomson Cruises, MSC and Celebrity Cruises. The answer is to study very carefully what’s on the list of inclusions. Don’t lose sight of the fact that most cruise lines will try to part you from your money once they’ve got you on board, whether it’s with glamorous portrait photography or promotions in the spa. But think before you opt for an all-inclusive cruise. If you don’t drink, is it really worth splashing out to subsidise someone else’s cocktail habit? If you prefer to do your own thing in port, why pay in advance for the excursions? Ultimately, what should really determine your land vs sea choice is the kind of holiday you want. If it’s to be lying on the beach all day, every day, there’s not much point going on a cruise. 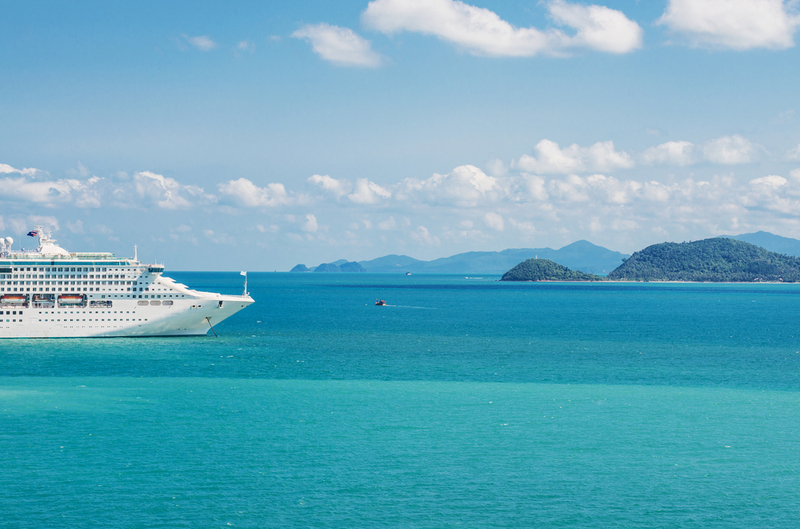 If you like sightseeing or a mixture of culture and relaxation, a cruise could be the answer. If you don’t like being surrounded by other people, cruising could be the wrong choice; unless you book one of the most luxurious ships, there will inevitably be some queuing to get back on board after a busy day in port and pool decks get very crowded on sea days. If you see food as mere fuel, then don’t spend money on a ship packed with fancy restaurants. On the other hand, if you like the idea of eating in a different place every night, with the promise of top quality cuisine, a cruise could be a real opportunity. Pick a cruise with P&O and you can eat in Atul Kochhar’s Sindhu restaurant for a fraction of the price of what it would cost to dine at the Michelin-starred chef ’s Benares restaurant in London. The afternoon tea in Britannia’s Epicurean restaurant by patissier Eric Lanlard is far better than anything you’d get in a London hotel – and a bargain at £15. So the cruise wins out and the next question is, when to book? There’s a lot of debate around about whether to book early or book late. The UK is traditionally a late-booking market but don’t think this means you’ll snag a bargain. If your preferred cruise line is one that carries a lot of Americans, you could struggle to get the cruise you want as Americans book early. 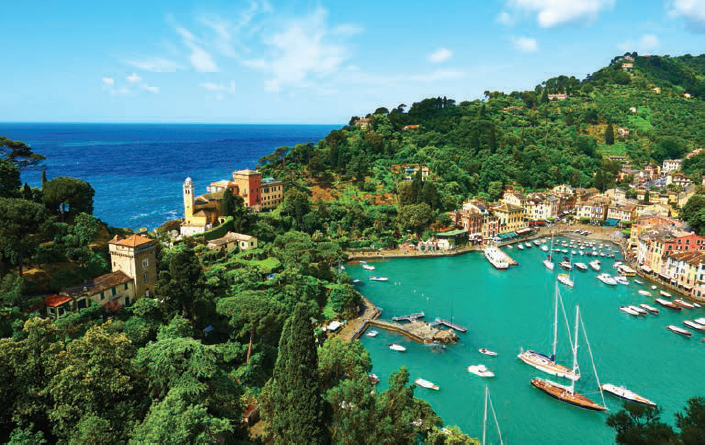 Azamara Club Cruises, popular with American guests, has already launched its 2018 brochure for this very reason, while Viking Ocean is already almost sold out for 2016, even with the arrival of a new ship next year. Book early and you can choose your exact cabin, get a cheaper flight, should you be making your own travel arrangements, and often take advantage of early booking discounts of up to 20%. Some lines will even refund the difference if they discount the same cruise at a later date. If you’re flexible, though, and want, say, a week in the Med but don’t really mind where, then play the game and book late. Scour the websites of the big cruise travel agents for bargains, upgrades and booking incentives. The cruise lines won’t thank you, and you might get a less desirable cabin, but there are holidays available at knock-down prices for the canny shopper.